Disclosure: I am partnering with Mabel’s Label’s for this post. All opinions are my own. This past week my son asked me if the Easter Bunny was real. Y’all, no answer. I mean I wanted to be like, heck nah kid, it’s me and I am the best bunny ever. Instead, our daughter interjected and said that fairies are real and that turned the entire conversation and saved the magic for a moment. 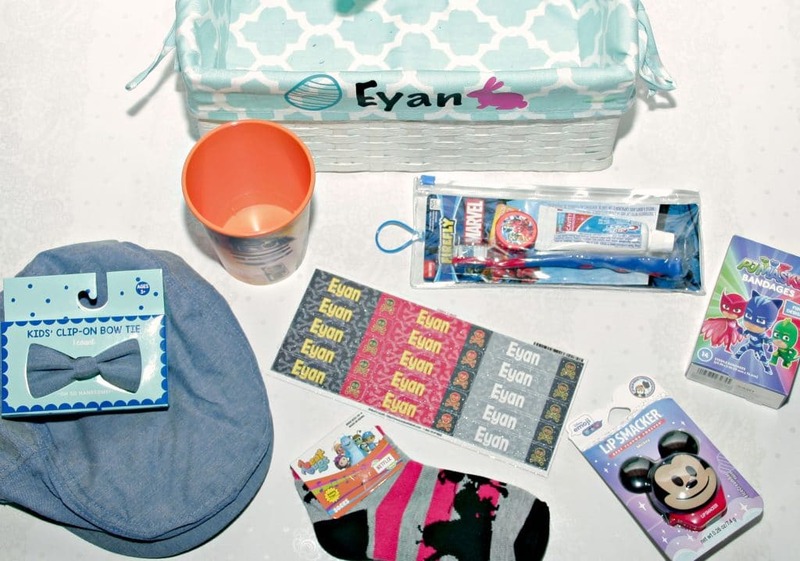 However, it also made me realize that we are a few weeks from Easter and I am not ready to fill my home with more junky trinkets, so instead I came up with a list of 8 Easter Basket Treats that Your Kids will Actually use. I truly love Easter. It brings back very special memories for me with my great-grandparents and is just a day of reflection and family for me. 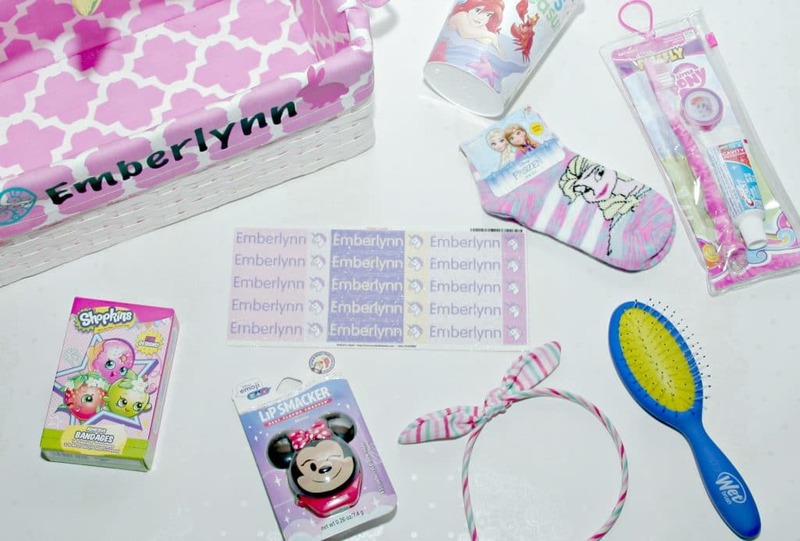 I have always tried to make it special for my kids as well, however, I am so over all of the little trinkets that are typically put into Easter baskets that my kids play with for 2 seconds and then they go into a toy bin, never to be seen again. I decided it was time to actually purchase items that my kids will use and that other parents would probably want some ideas too. 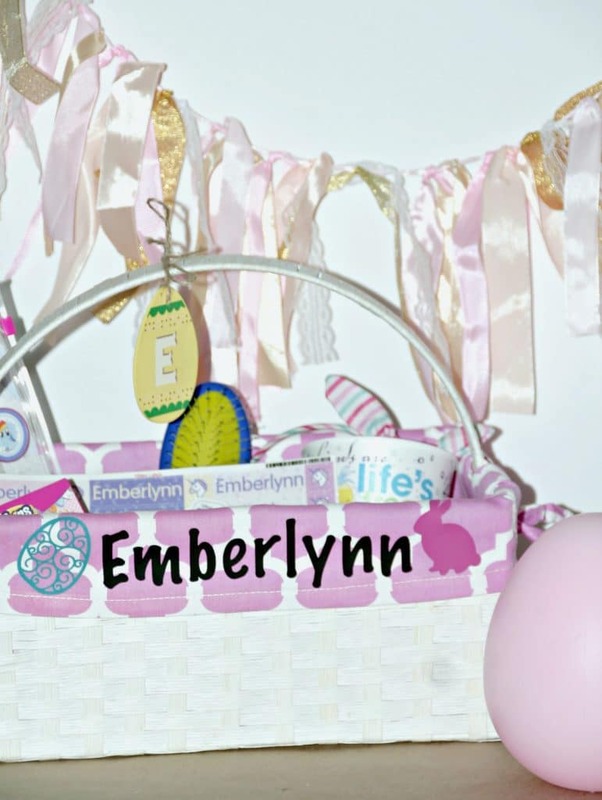 I put together baskets for both my son and daughter and figured I would share photos of both basket types so you can see a girls and a boys perspective. now this is not to say that my kids will not be getting candy on Easter, because Cadbury Eggs. However, it will be much less sugar and much more function! I went with items that my kids use all the time and the bonus was that I picked up a ton of this in the dollar bins. I also wanted to give them some sort of accessory to wear with their Easter outfit because as a kid, my great-grandma always made us a new dress and my mom gave us some sort of accessory to go with them. One thing that I had to include are these awesome personalized glitter labels from Mabel’s Labels. My kids need to label basically anything that goes to school and these labels make life easy. I got our daughter the unicorn ones our son these skull designs. Mabel’s Labels offer so many different designs and this glitter is awesome. In addition they are durable, microwave and dishwasher safe too! These are a staple in our home and we still are using the shoe ones to make sure we get our shoes on the right feet! 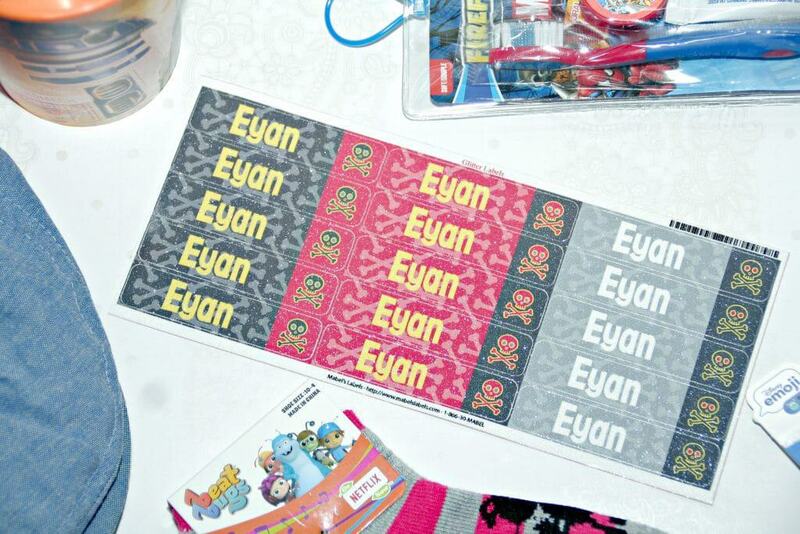 Grab some, every kid likes stickers, personalized ones are even better! 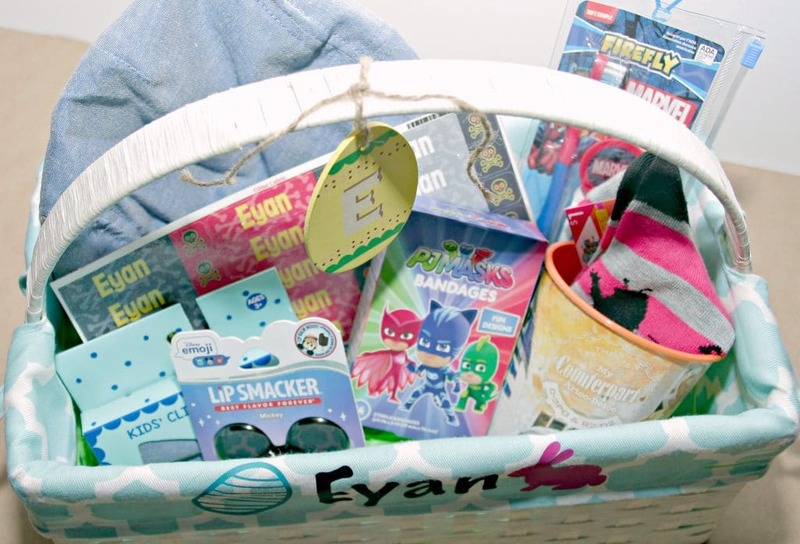 Just like that the baskets are full of awesome stuff that my kids will definitely use more than once and that are still fun. They will be completely happy with this and some candy and I am happy that I will not be filling yet another toy bin with more junk. I am feeling so overstuffed in our home right now and dying to just purge it all. 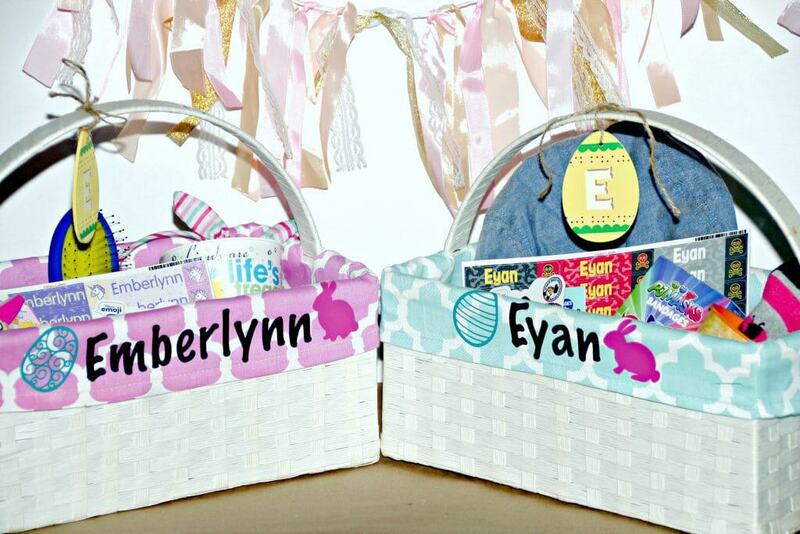 These Easter baskets fill my soul with happiness. Are there any non candy items you would add?